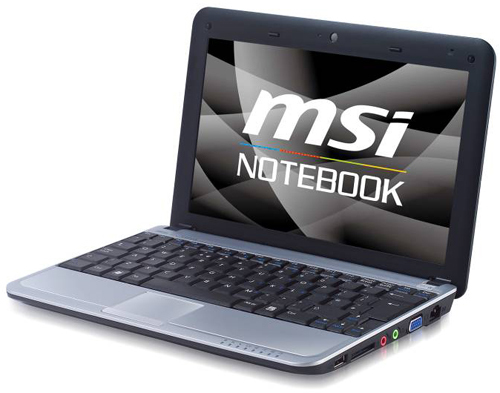 The new MSI U115 Hybrid netbook is suitable for those who are always on the go. For those who are into netbooks that are capable of storing files in their SSDs or HDDs, then be prepared for the newest netbook capable of this feature, the MSI U115 Hybrid. Truly, we really like this gizmo because of the simple fact that it is shock-absorbent. Mind you, not all gadgets like this have this capability. Additionally, we also love the fact that while you are using your HDD hard drive, you can also use your SDD simultaneously. However, we think it is good to advise you that it will be better to use SDD hard drives because files are easier to retrieve and the netbook uses less power than when you are using an HDD hard drive. Moreover, this device is powered by the new the new Intel Menlow with Atom Processor Z530 with 1.60 gigahertz. It runs with a Windows XP operating system and has a memory of DDR2 533 megahertz with 1 gigabyte. It has a 10-inch, 1024×600 LCD panel. It has great memory storage, which goes from 120 or 160 gigabytes for the HDD and a 2.8 or 16 gigabytes for the SDD. For its webcam it has a 2.0 megapixel camera. For its wireless connectivity, it has an 802.11 b/g/n and a Bluetooth Version 2 OEDR. Additionally, it has 2 speakers, and an optional webcam of 1.3 megapixels. The other thing that we like about this is the fact this has a light frame, since it has the dimensions of 26 centimeters in its length and 18 centimeters in its width. Also, it has a 19-31.5 millimeters in thickness. Despite the added weight of the battery, it only weighs at about 1 kilogram. Though there is still no word of its price, we believe it is worth the anticipation. Most particularly for those who always love to be on the go with such a portable netbook.